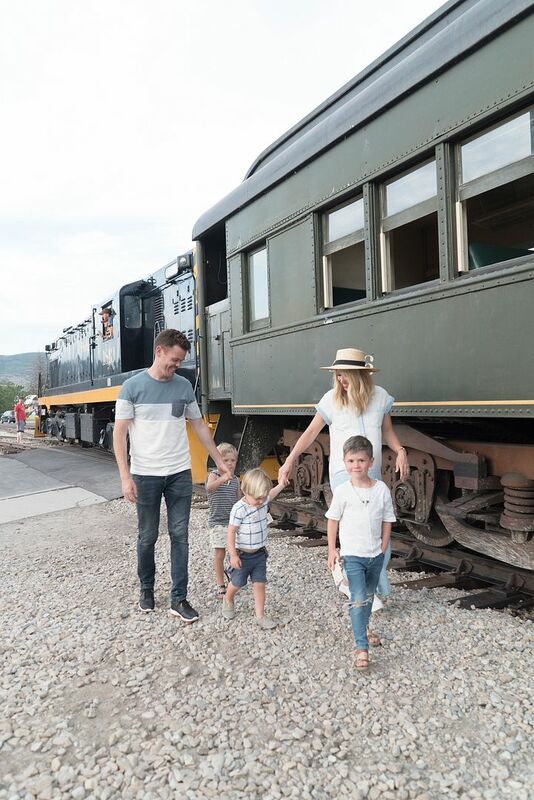 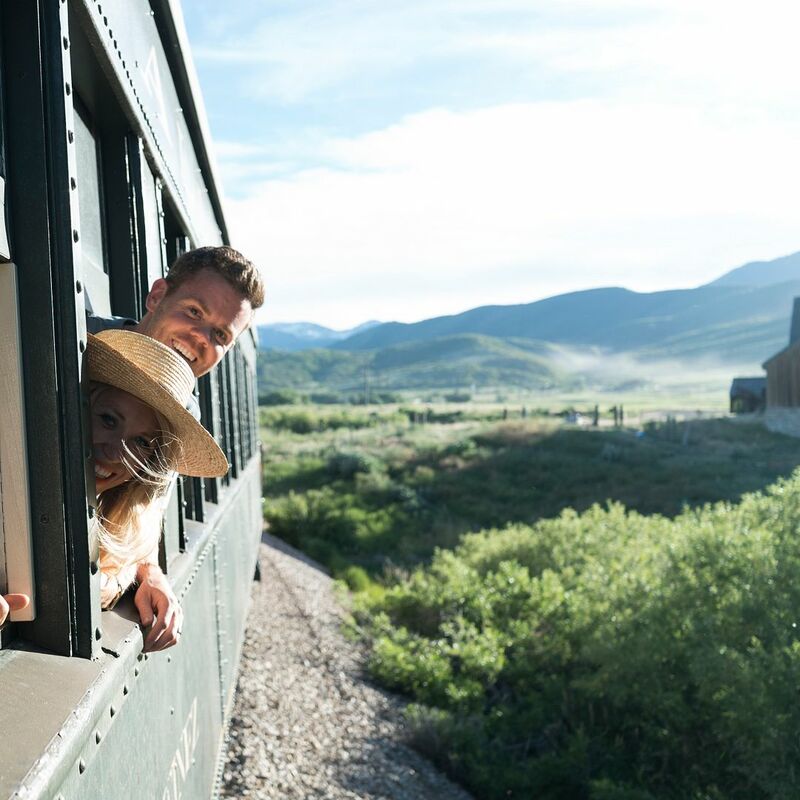 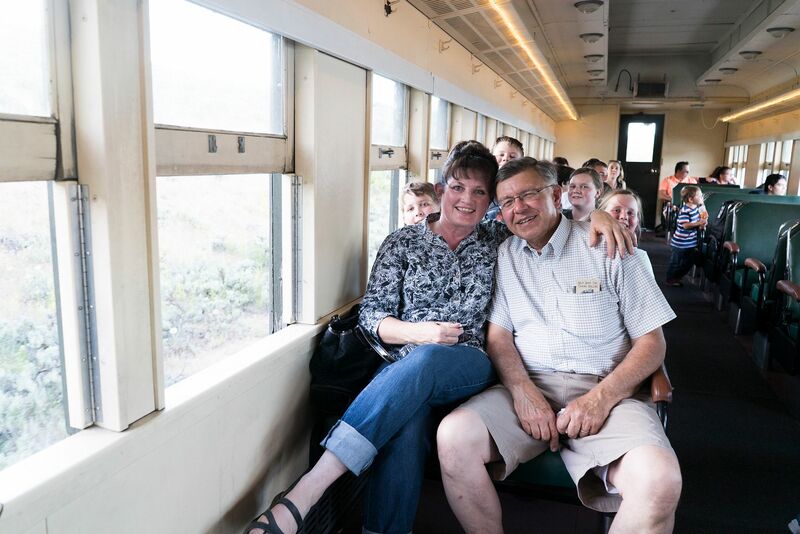 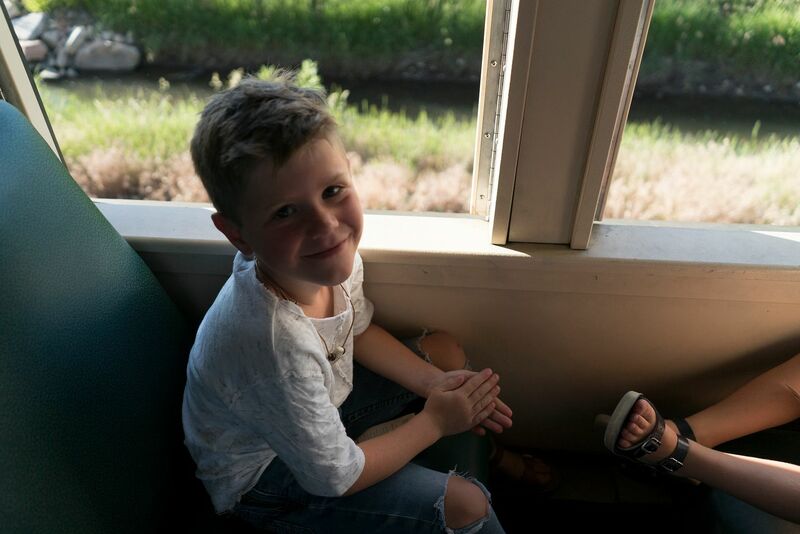 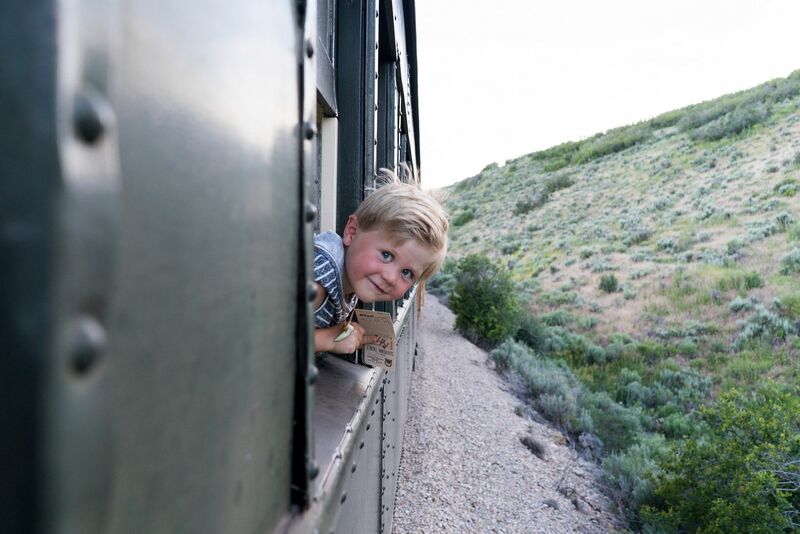 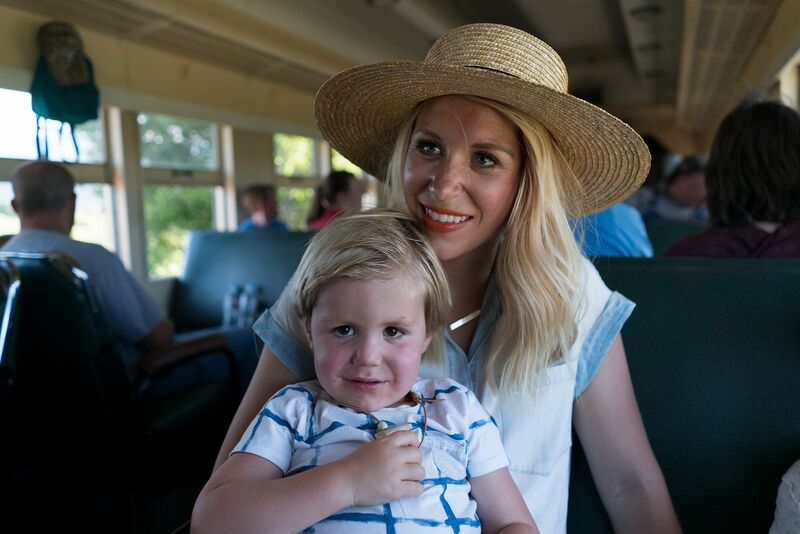 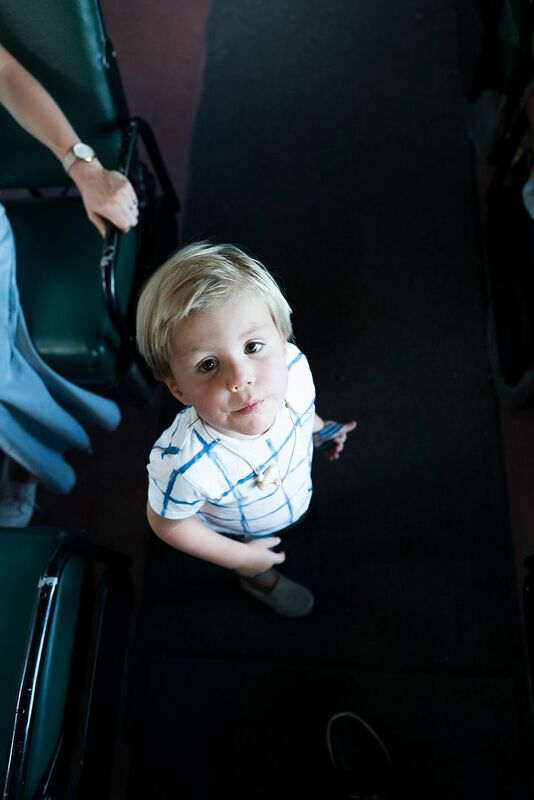 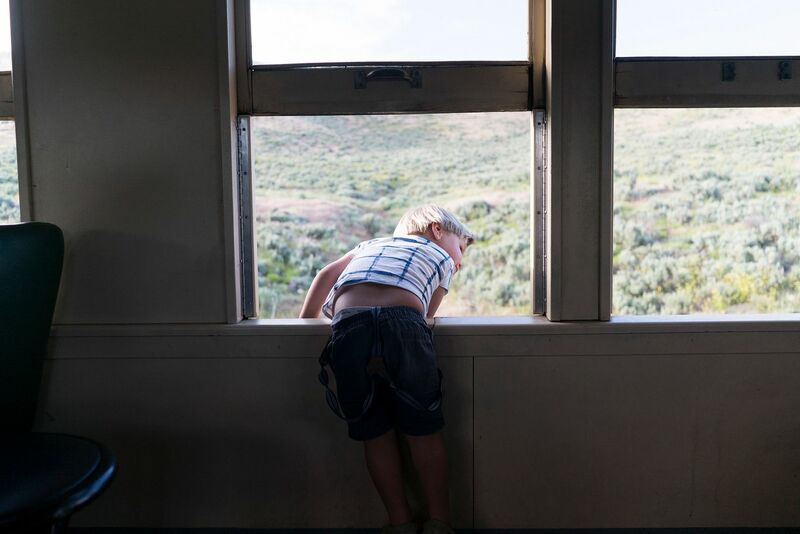 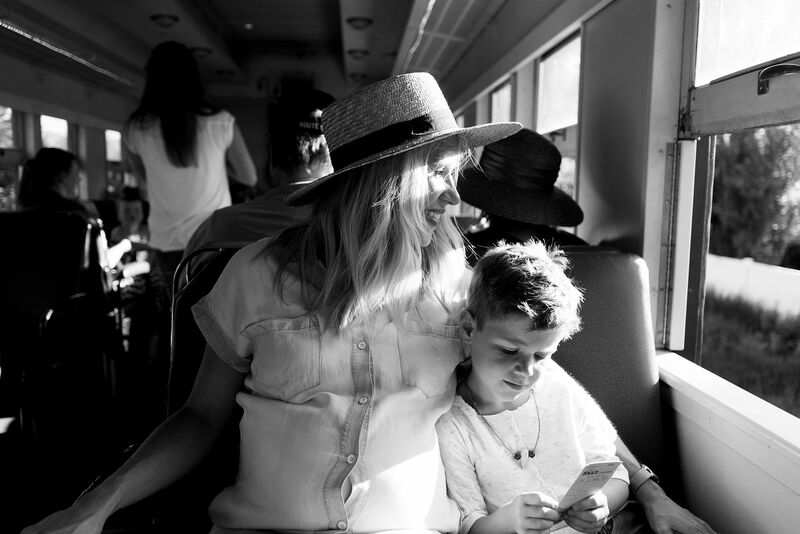 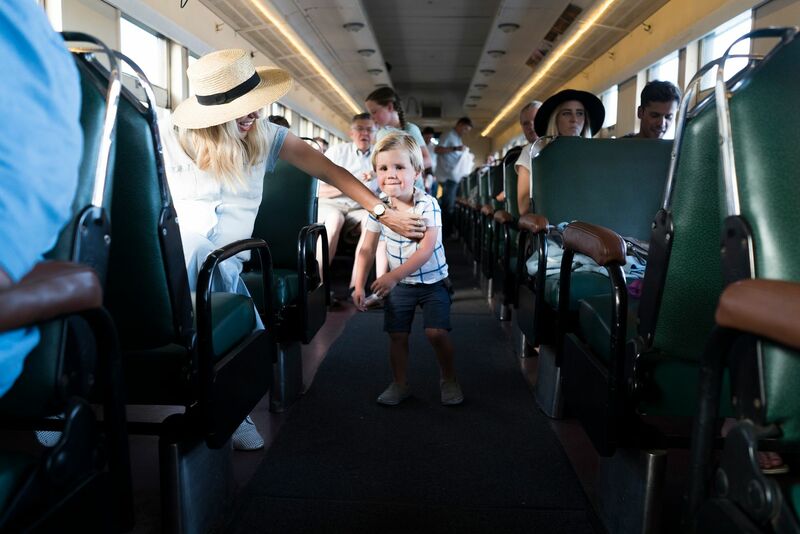 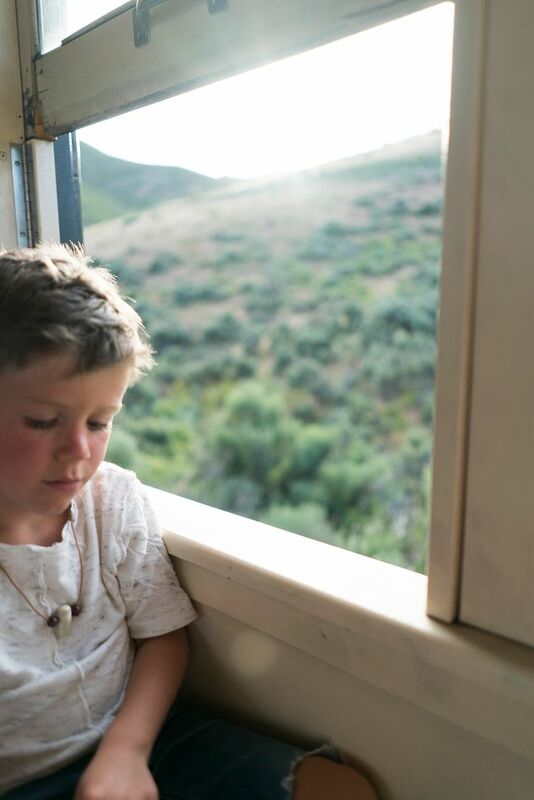 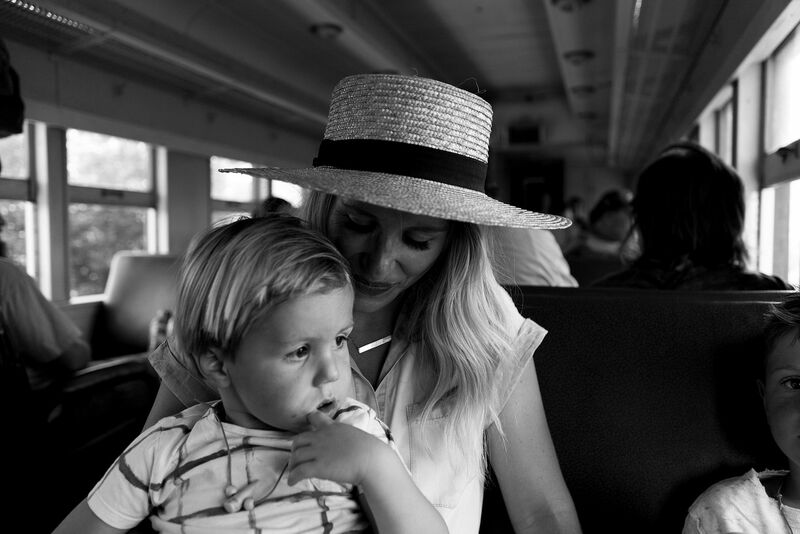 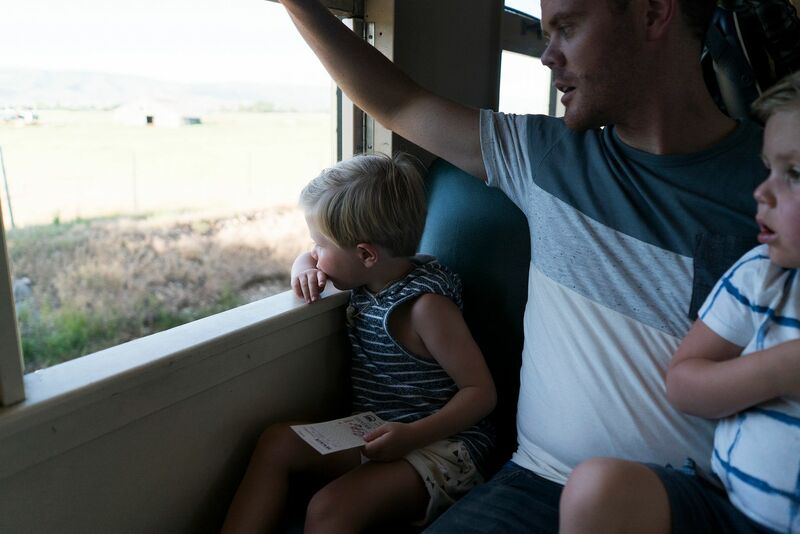 Brandon's Uncle had set up a fun FHE a couple months ago, he had told us about the Heber Creeper and wanted to have our family join him on this old train. 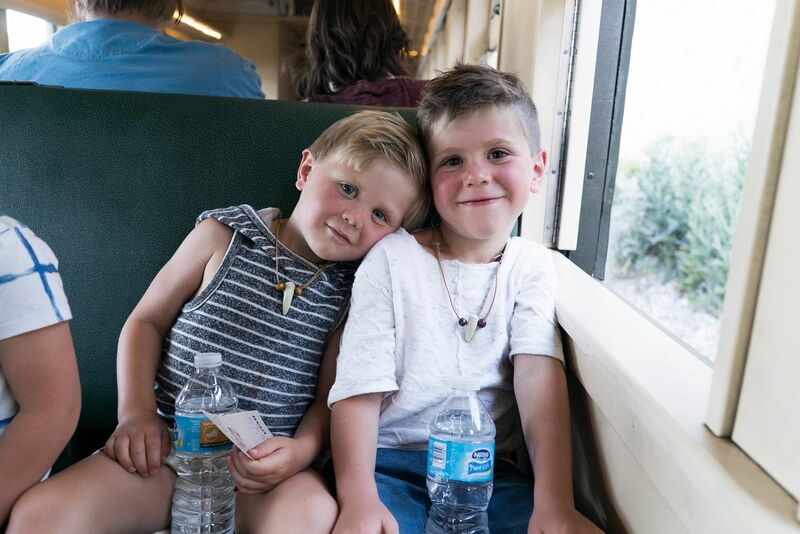 The boys were so excited! 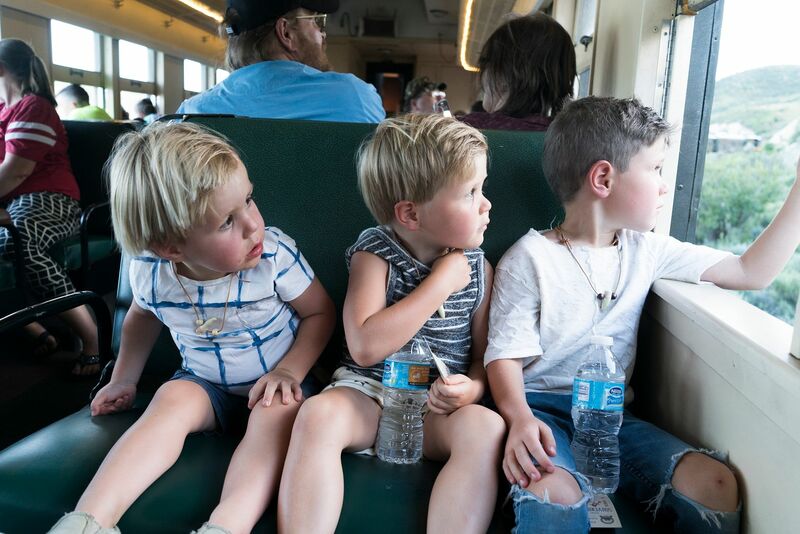 There was a gun show before the train took off, and after we boarded the train and took our seats. 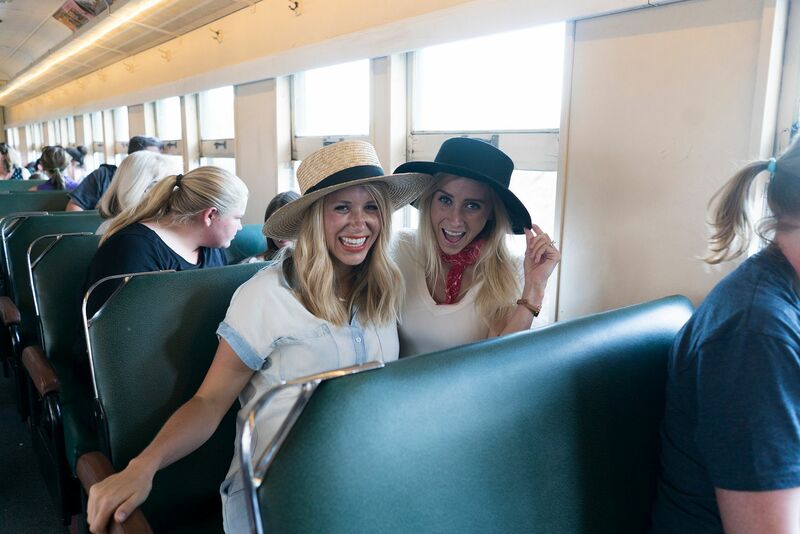 Everything was so old and actually really hot! 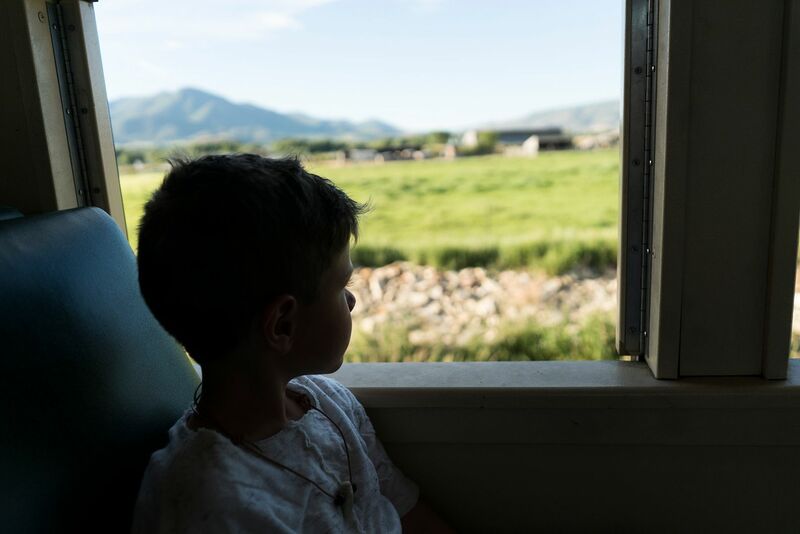 ha But once the train started the breeze came through the windows and helped cool things down. 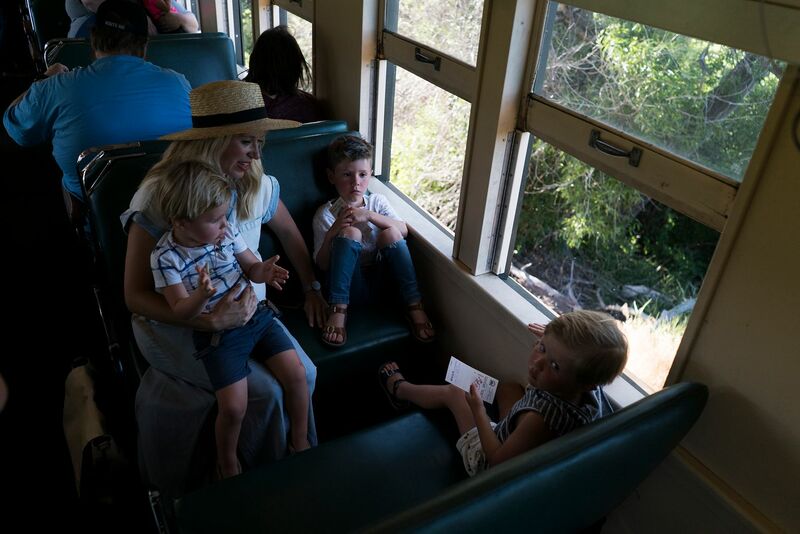 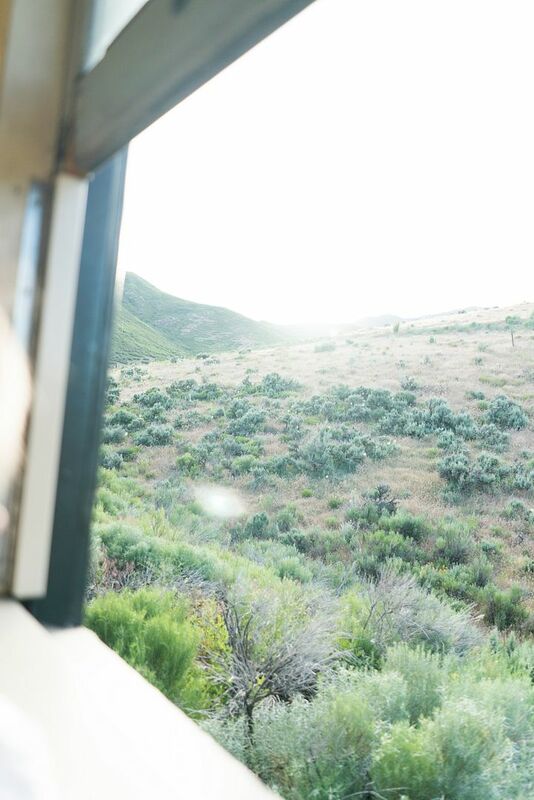 As we traveled through the Heber Valley the sights were breathtaking and there was a lot of fun entertainment aboard. 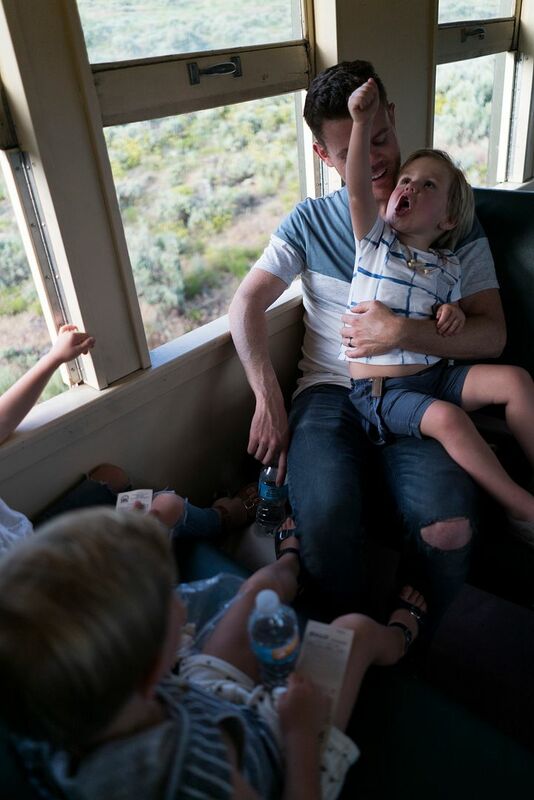 The boys enjoyed it so much and were just so excited they were riding on an actual train. 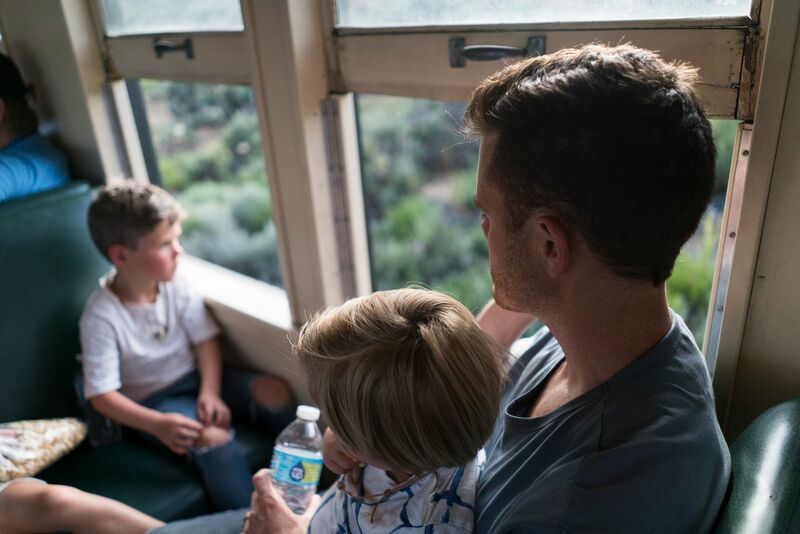 Uncle Mike, his wife and his cute three kids peeping through.